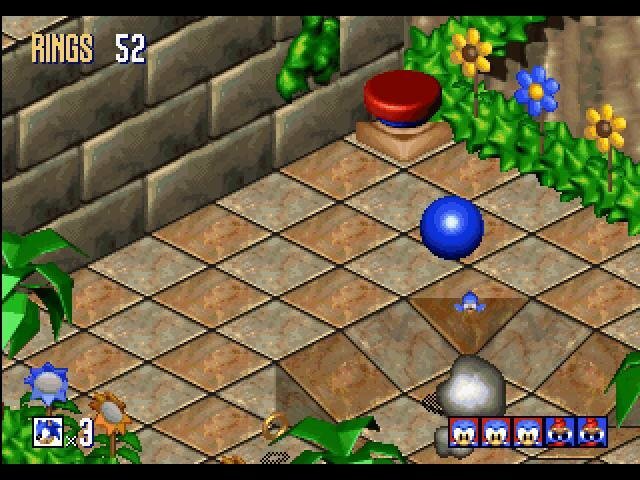 Sonic 3D Blast takes place in a sorta 3D environment with a nicely isometric overhead slant to his usual colorful world filled with arcade fun. 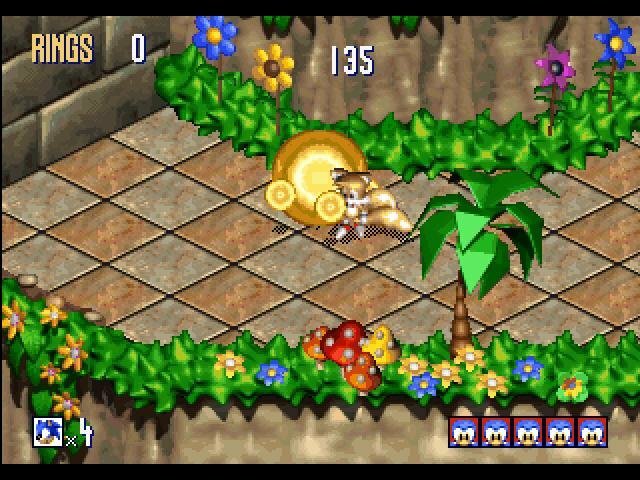 The game is a conversion of the Saturn and Genesis game and is actually a surprisingly entertaining platform game; it manages to take the charm and simple playability of the 2D series into a new 3D view. 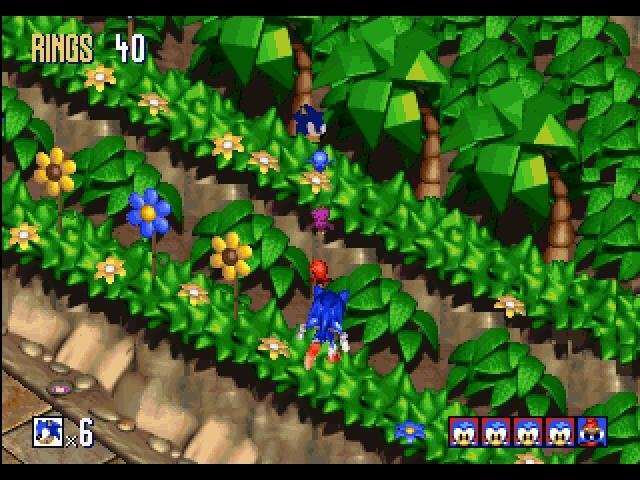 Once you get used to them, the controls are responsive, and the 21 levels are interesting and entertaining enough to romp through, even though the gameplay is considerably slower than in past Sonic games. 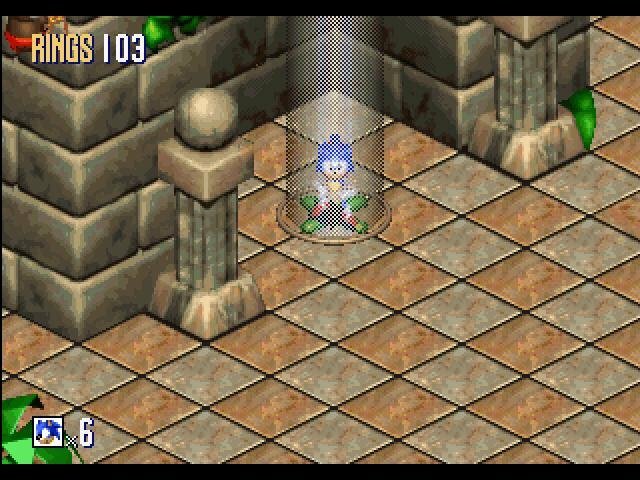 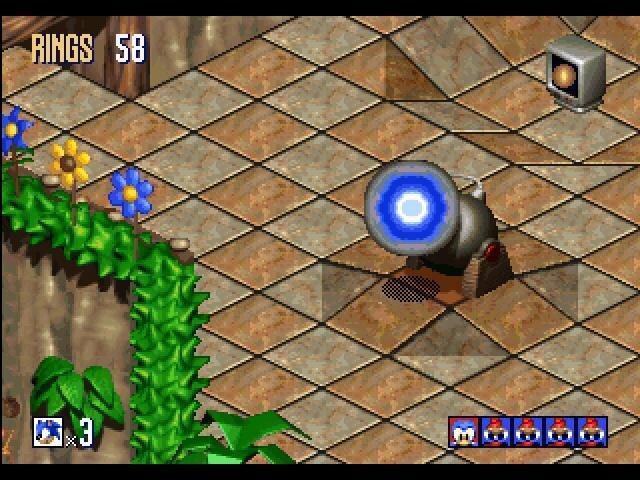 Sega has also added PC-specific bonus rounds, though these “3D” tunnel sequences aren’t exactly awe-inspiring. 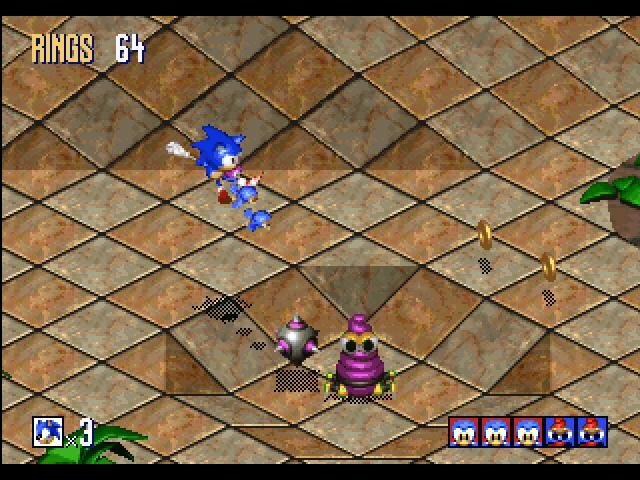 The game sports an auto-save feature after finishing a level, a feature the console versions lacked. 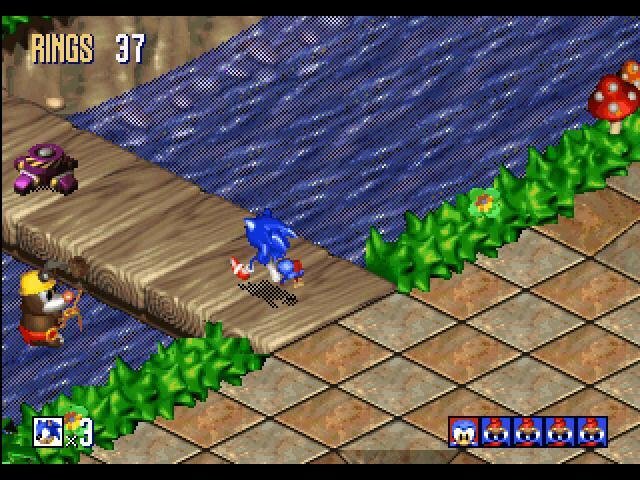 Graphically, Sonic 3D Blast is very attractive, with some excellent looking bits of level design spread across the various landscapes (jungles, iceworlds, forests, techno-city, and any other place where you can use bright and sometimes gaudy colors to good effect). 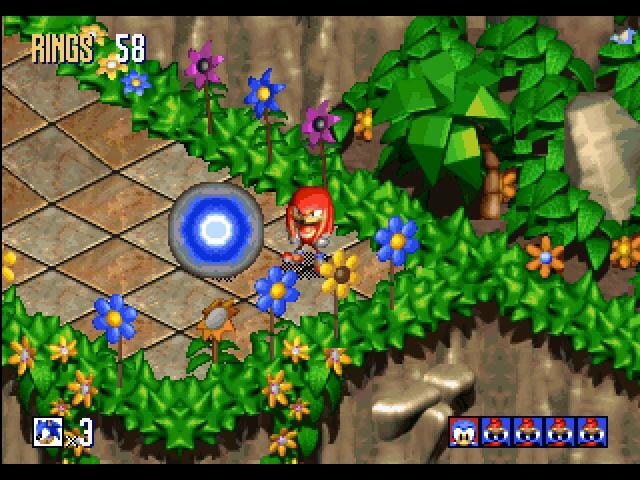 The music is also nicely done and sound effects are, well, pretty much the same ones that Sonic games always use. 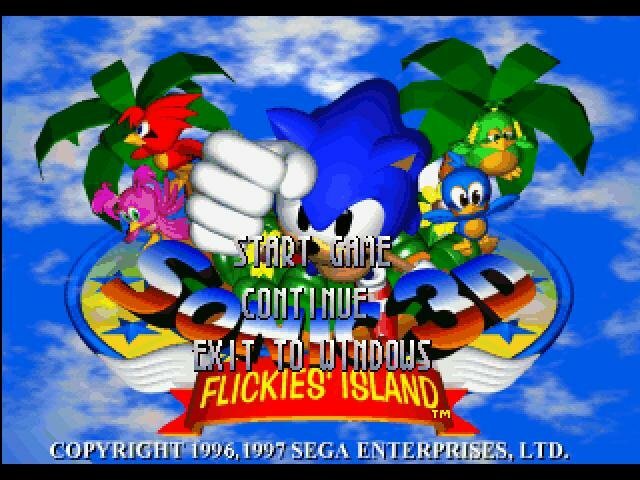 Since the goal in each level is basically to free the cute little birdies of Flicky Island trapped inside of the still dastardly Dr. Robotnik’s bad, er, things, it’s perfect fare for the kids. 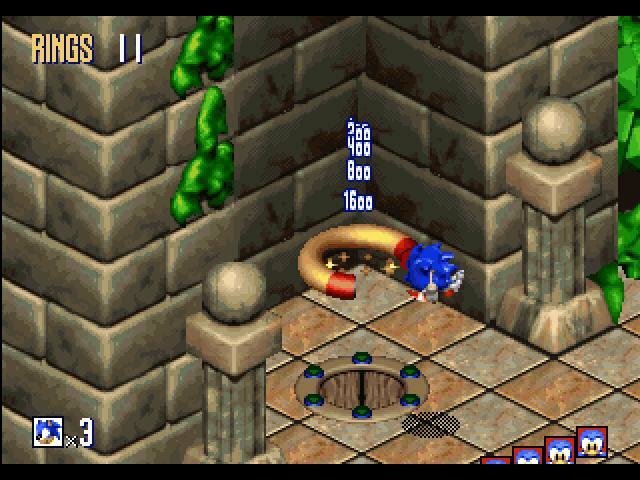 For anyone else looking for a solidly entertaining and off-beat platform game, Sonic 3D Blast proves to be a good choice all around.